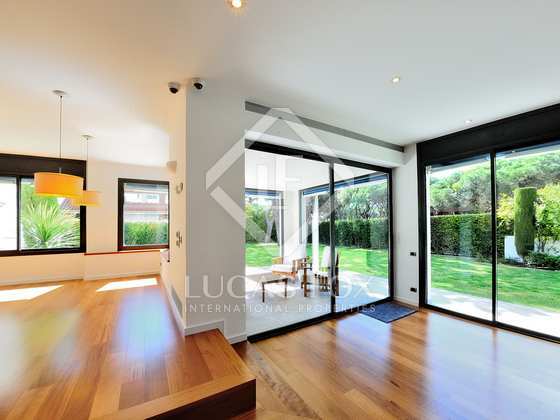 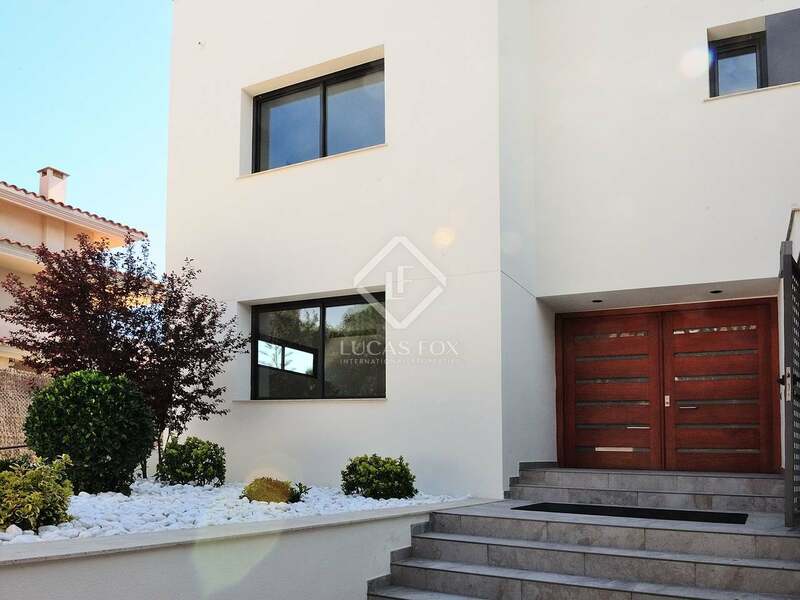 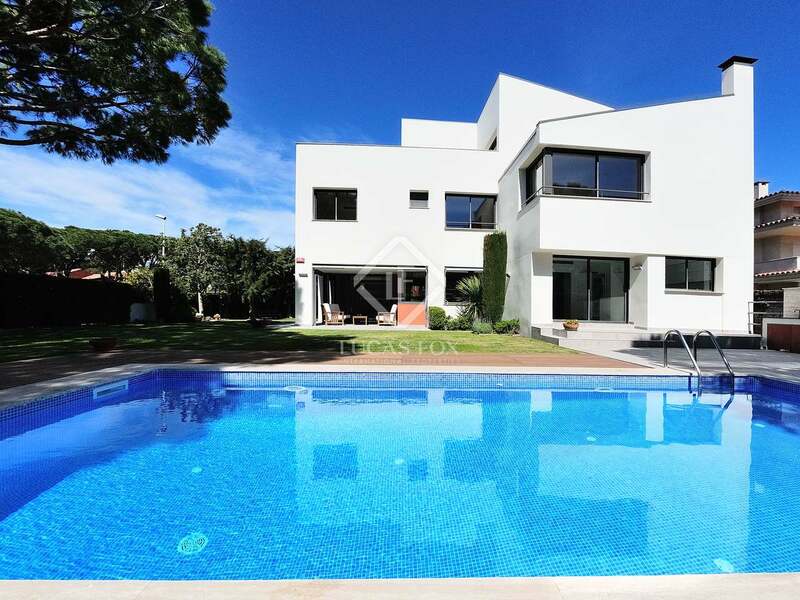 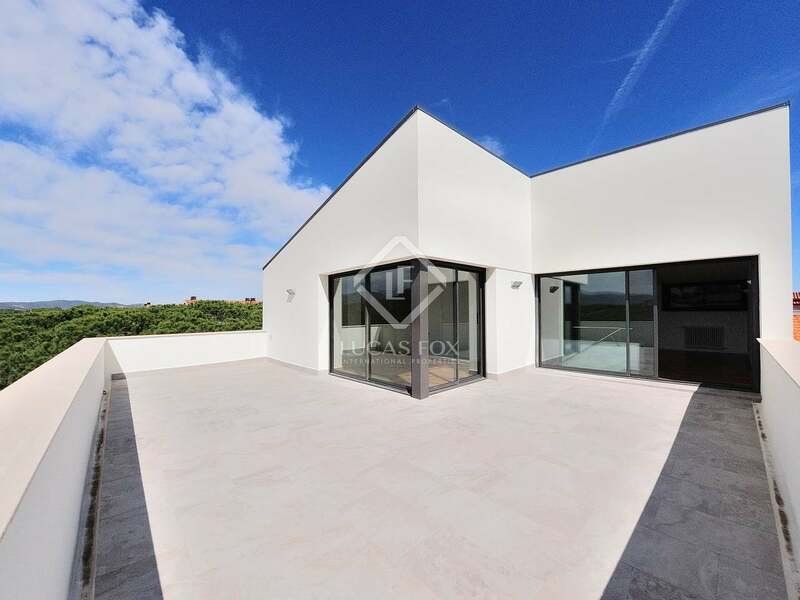 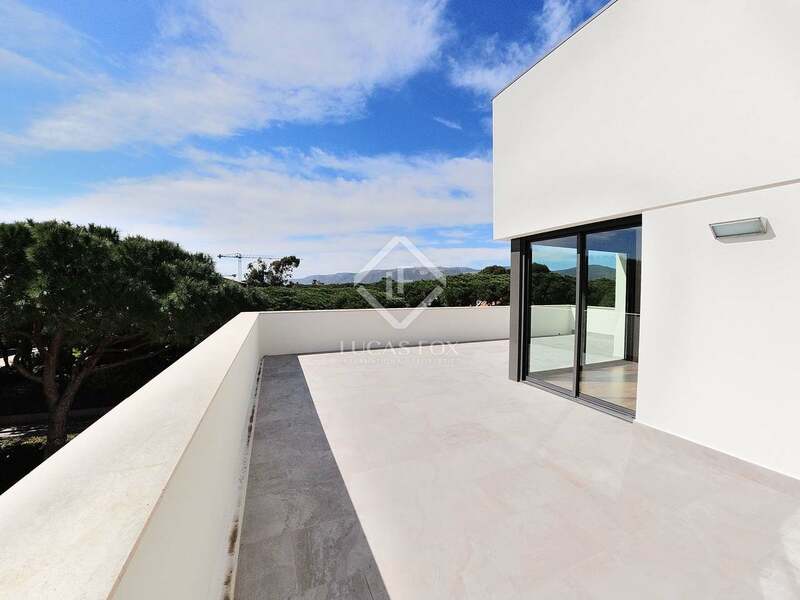 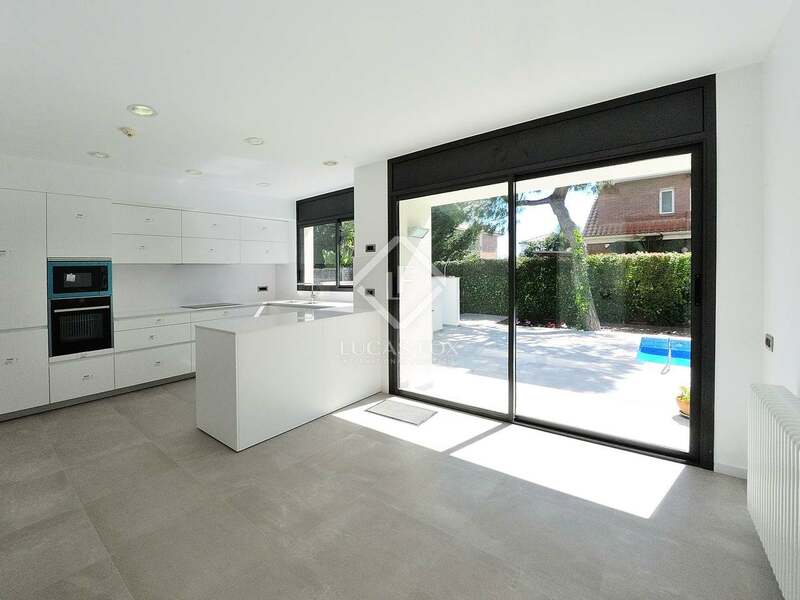 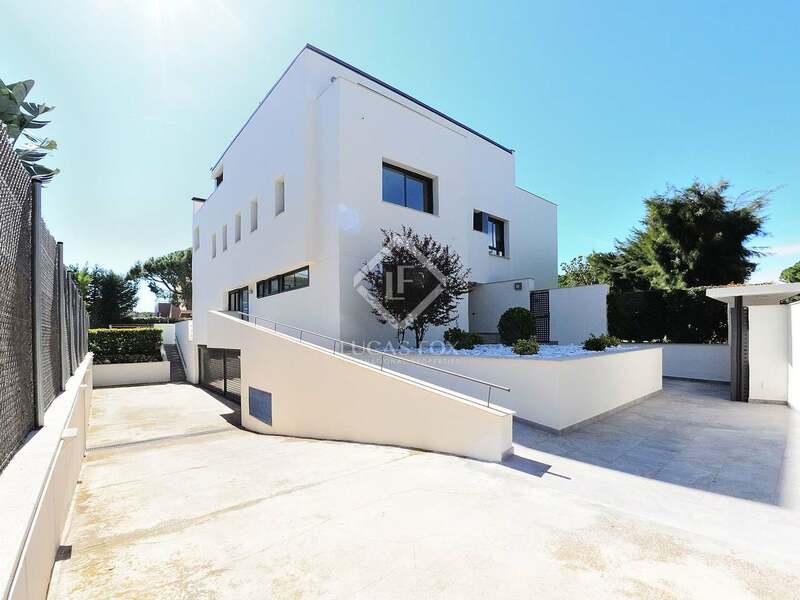 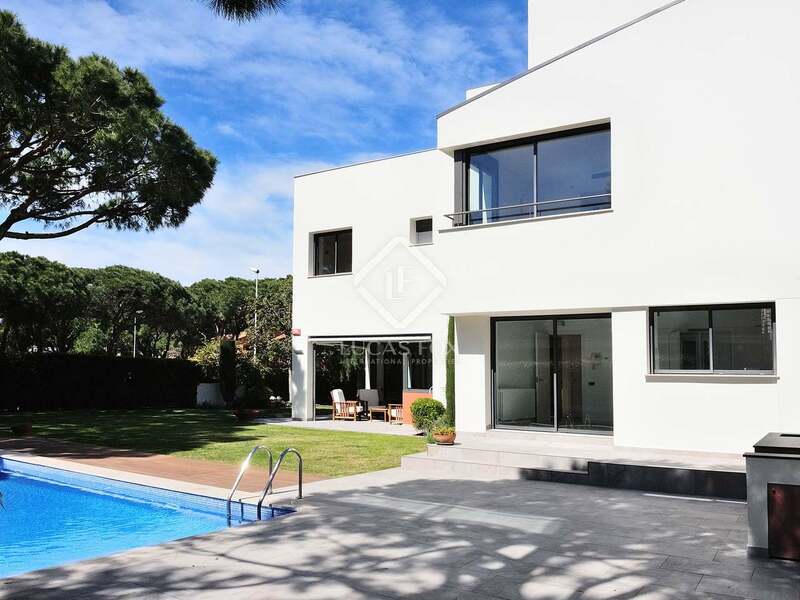 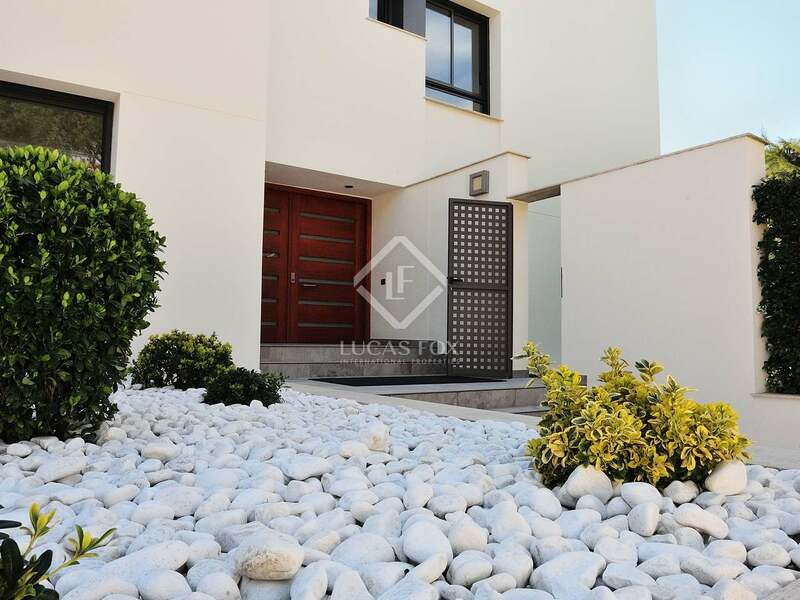 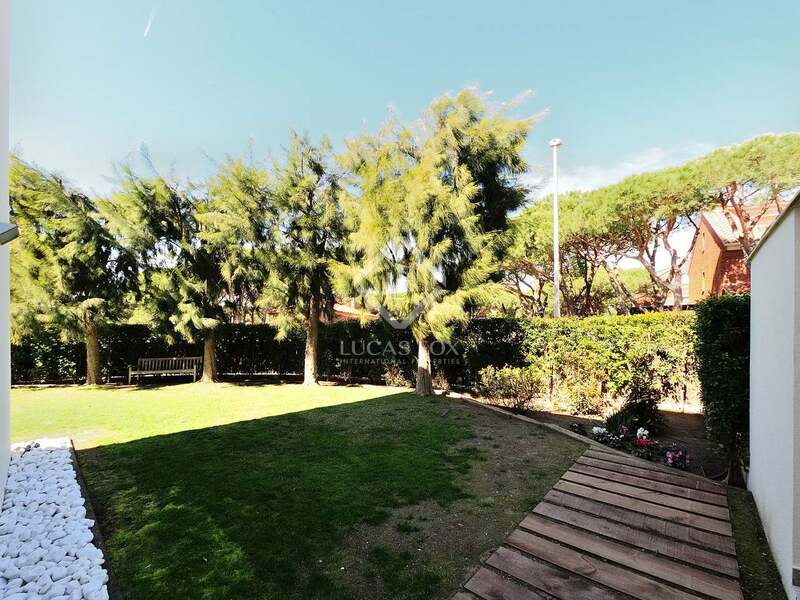 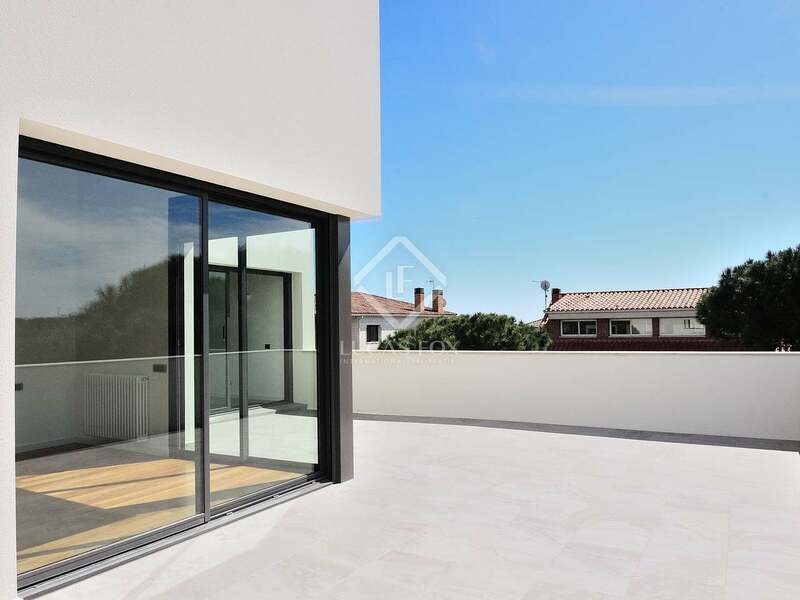 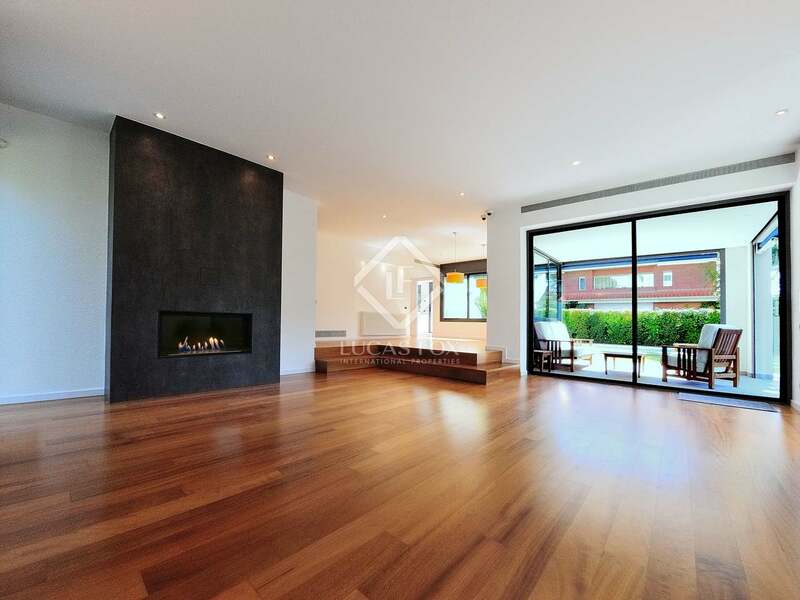 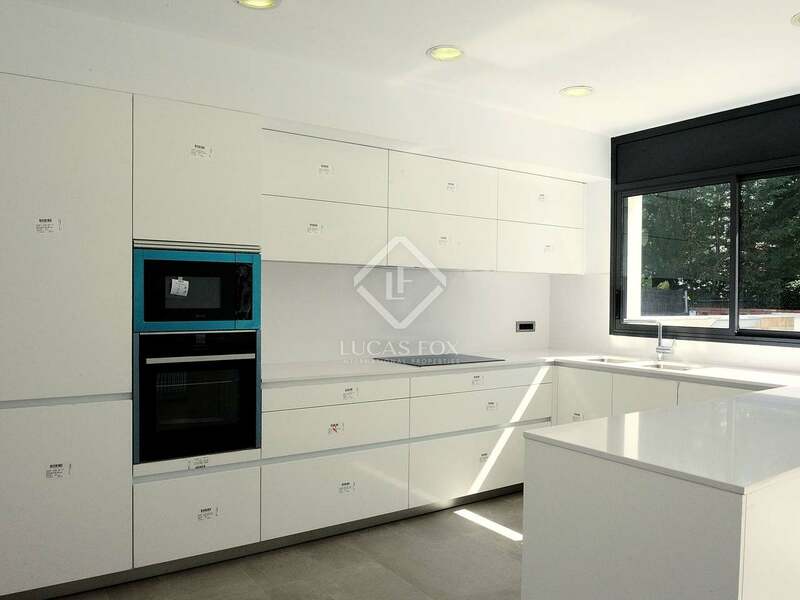 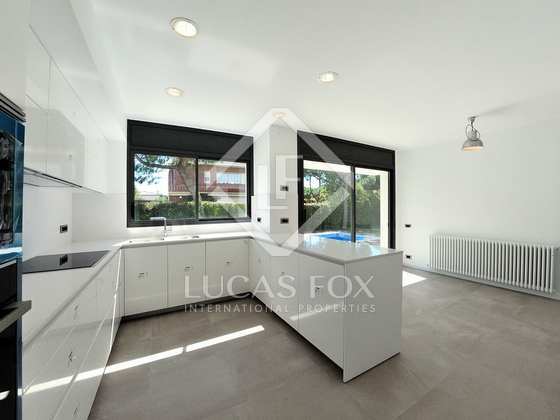 Built in the year 2000 and fully renovated in 2018, this outstanding contemporary style villa has a built area of 662 m² and sits of a level plot of approximately 1,000 m². 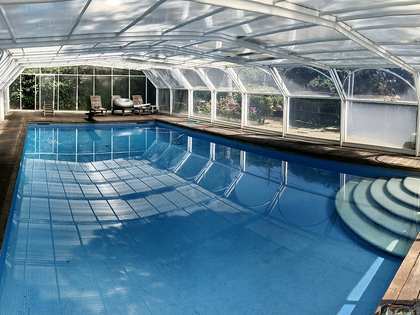 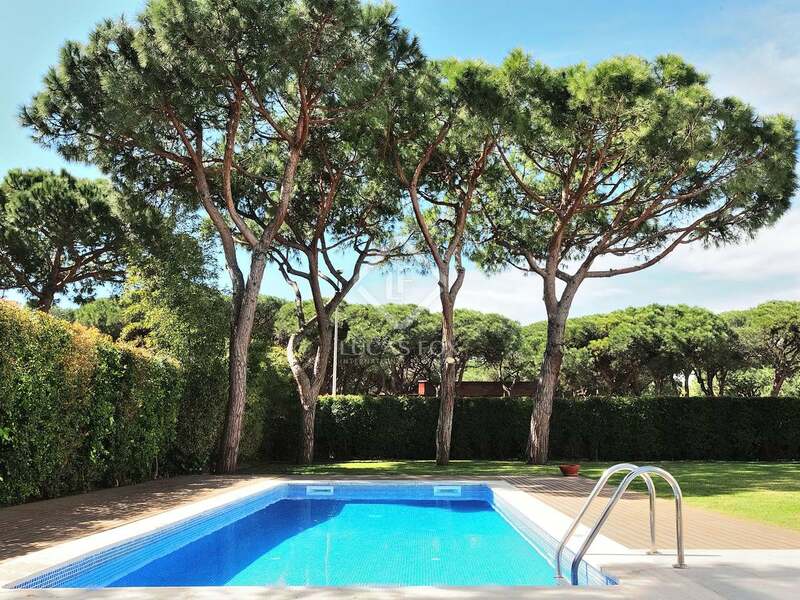 The exterior offers a large landscaped garden with lawn, trees and a delightful decked pool area, chill out and barbecue; ideal for enjoying the fabulous local weather with friends and family. 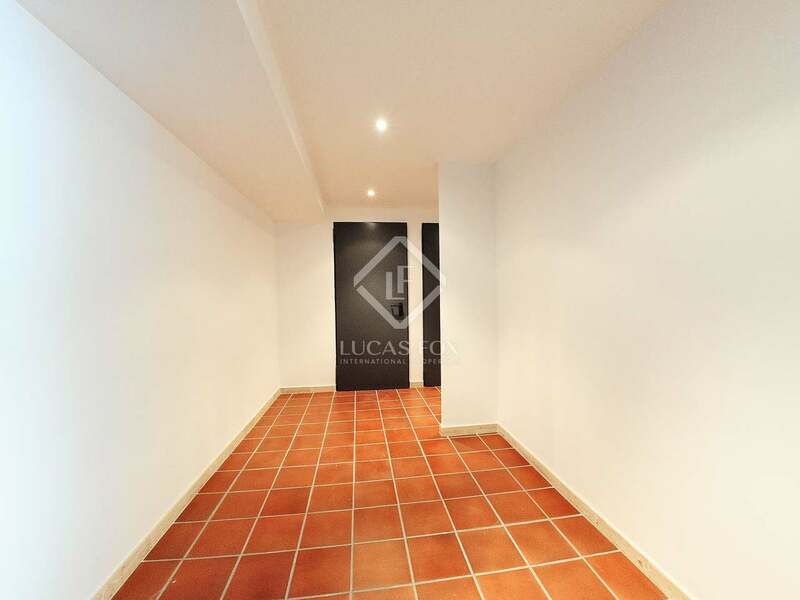 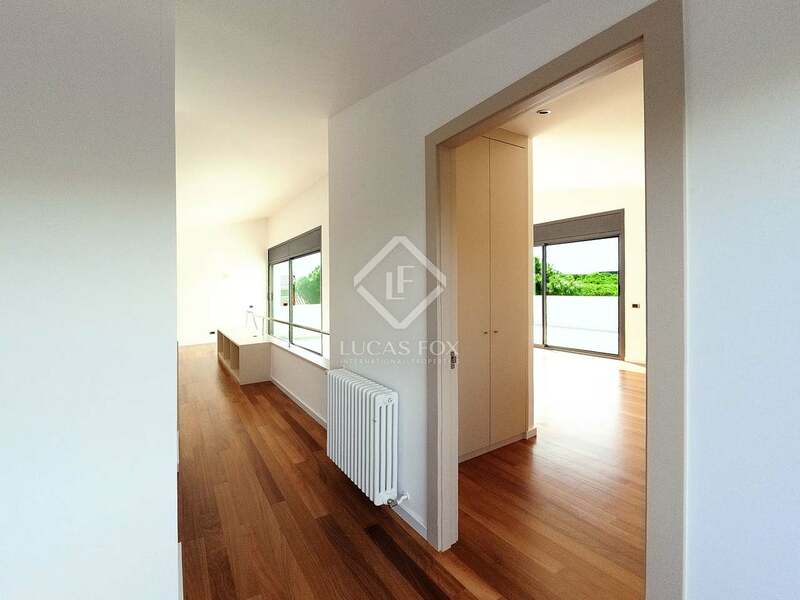 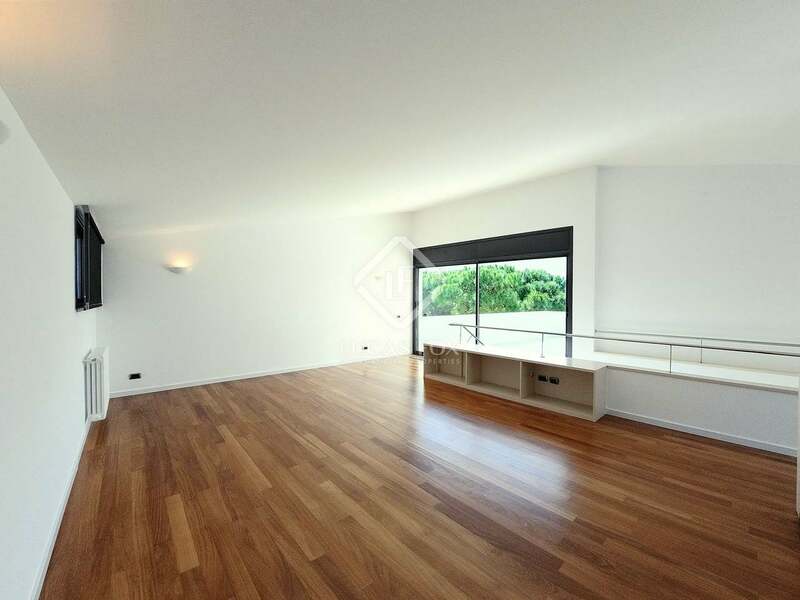 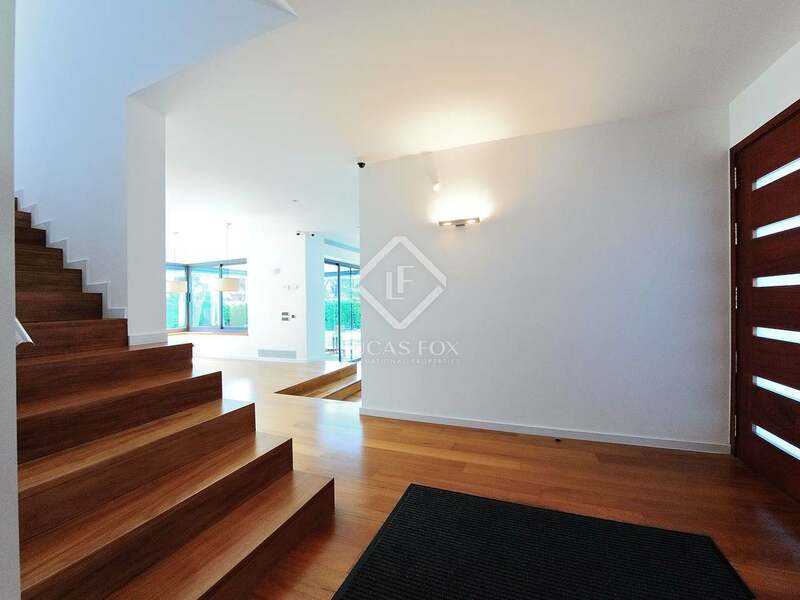 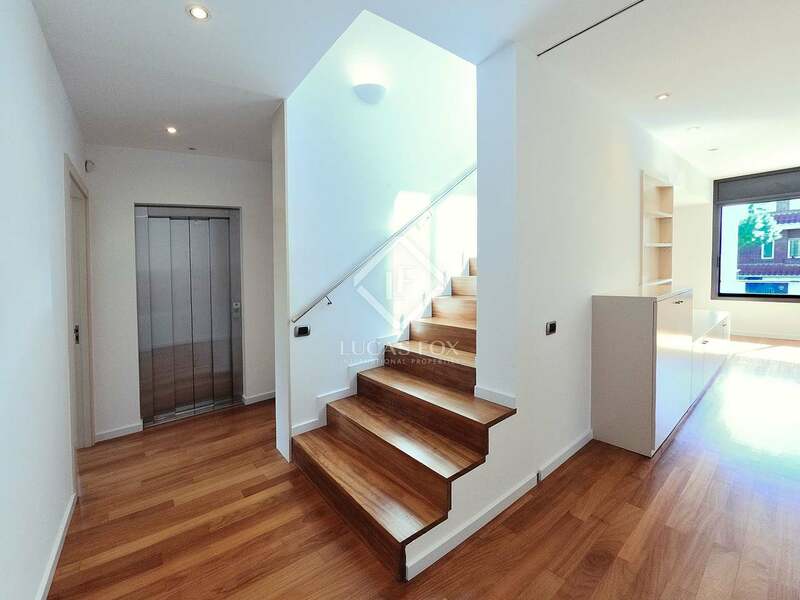 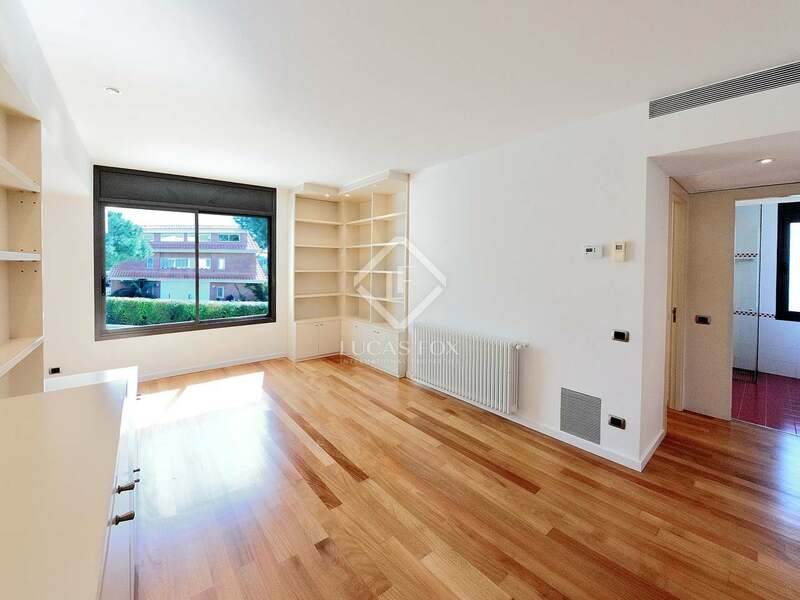 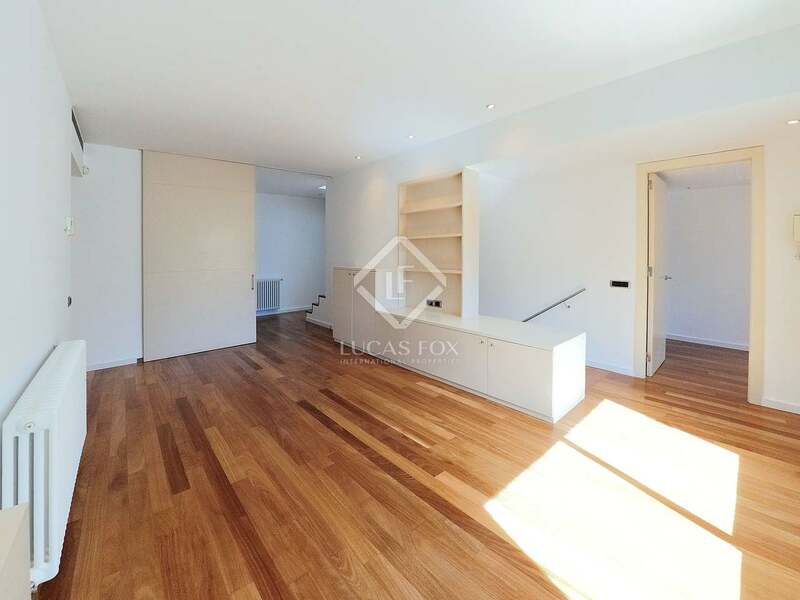 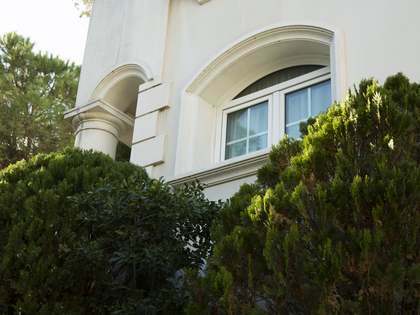 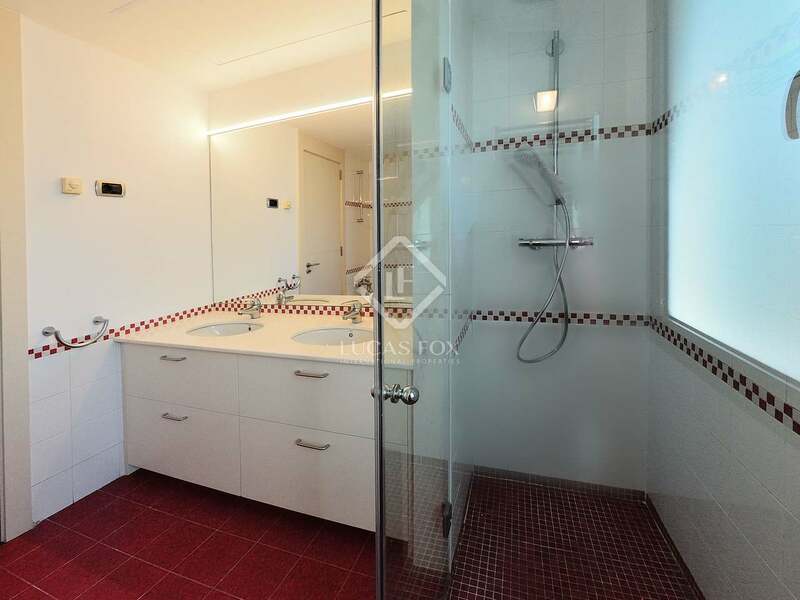 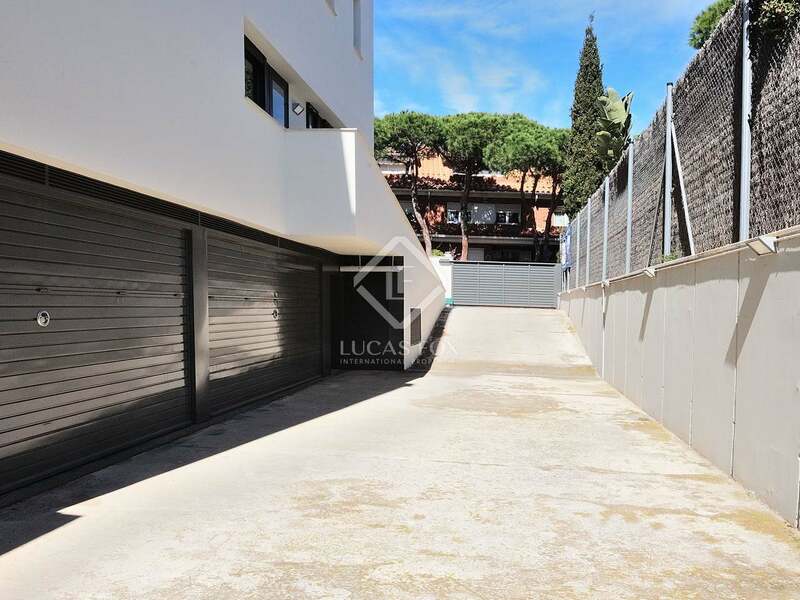 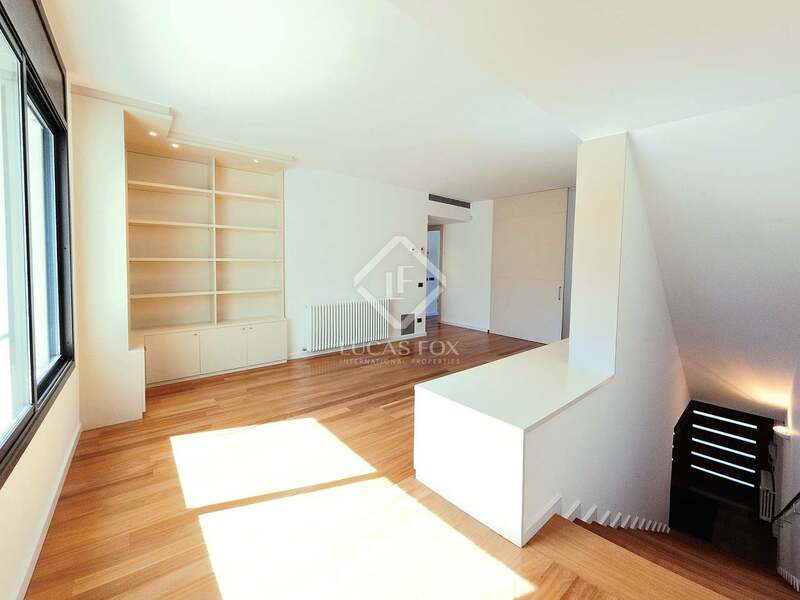 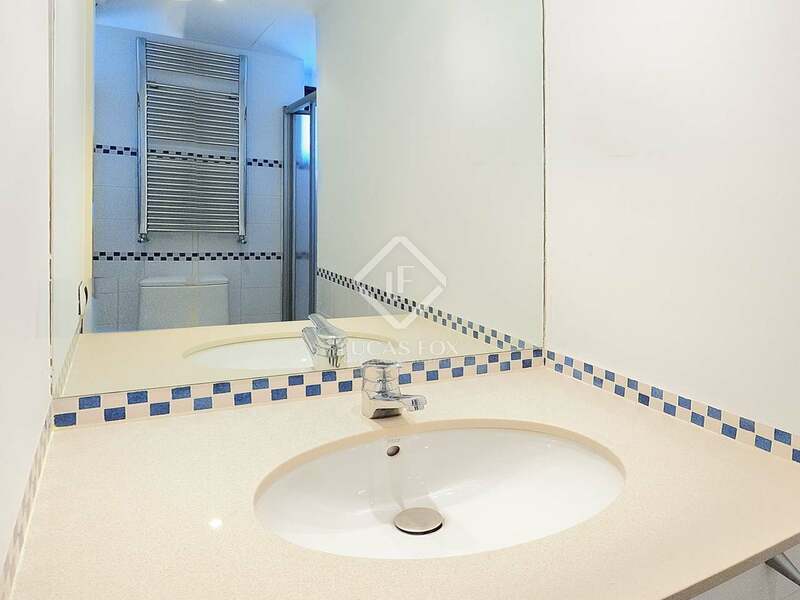 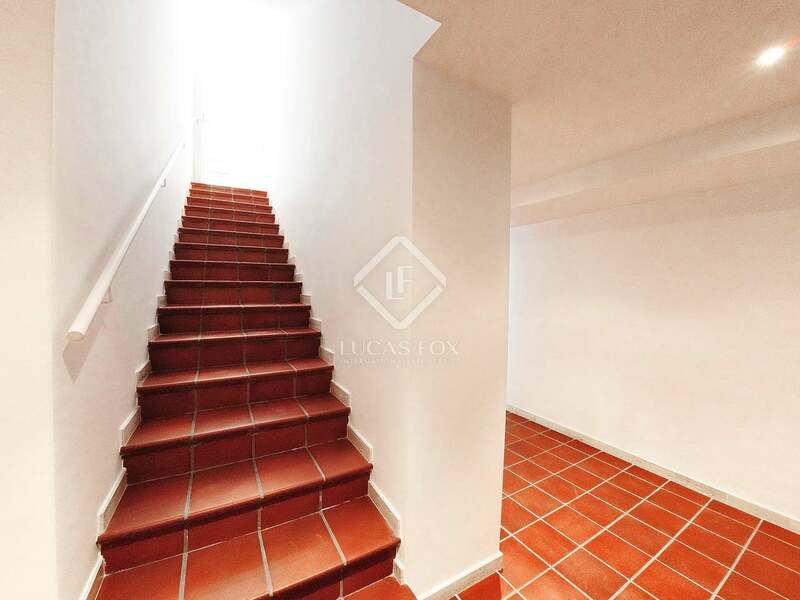 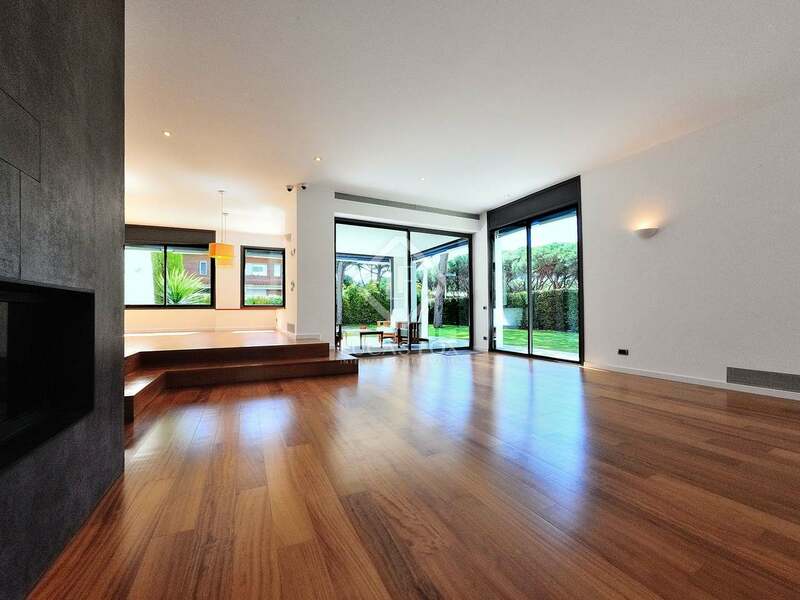 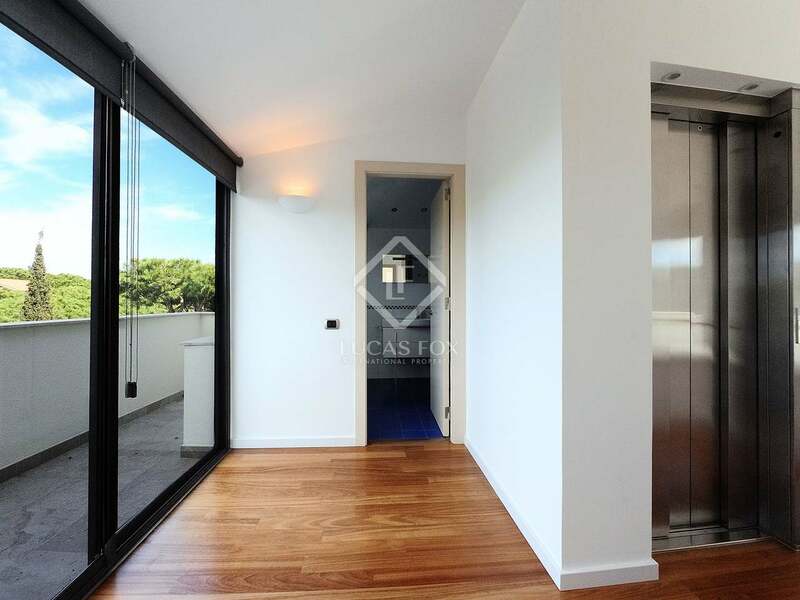 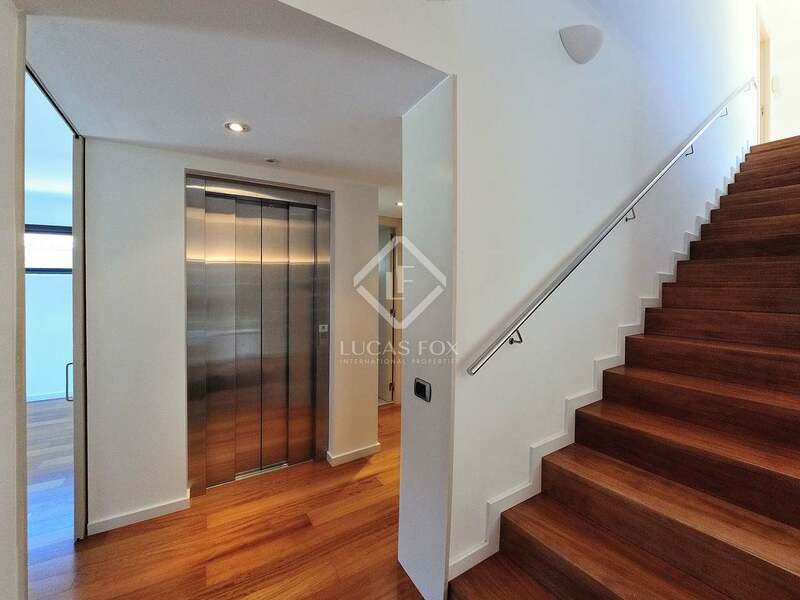 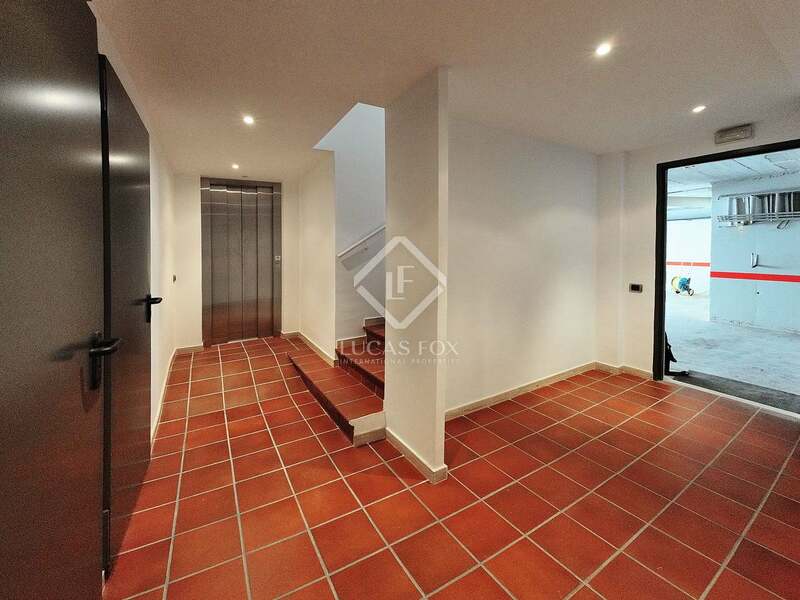 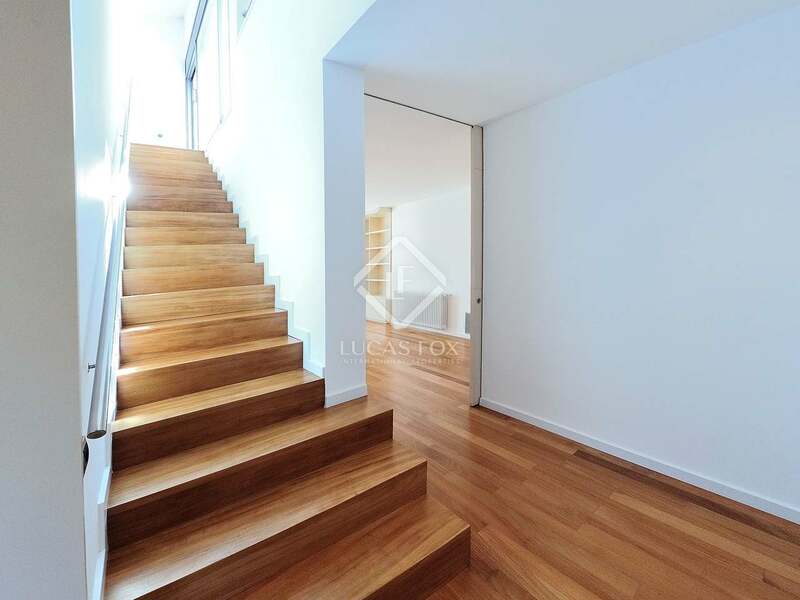 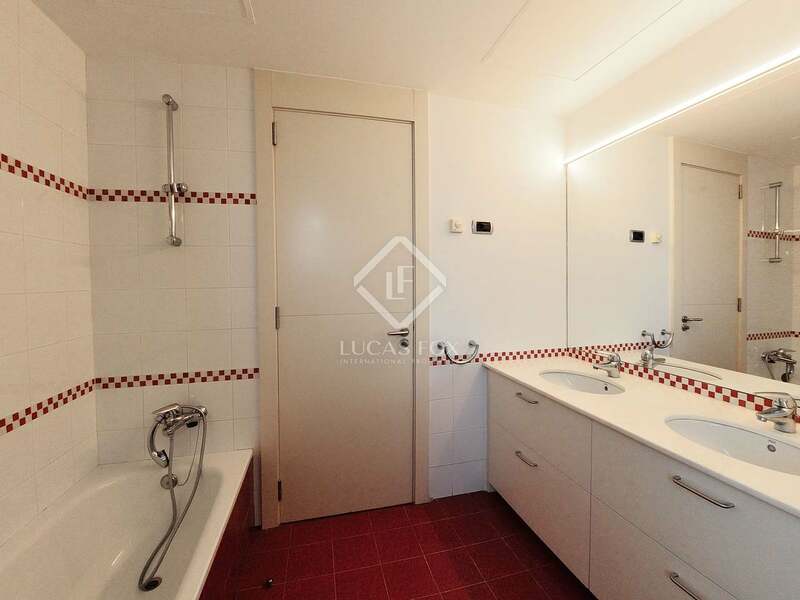 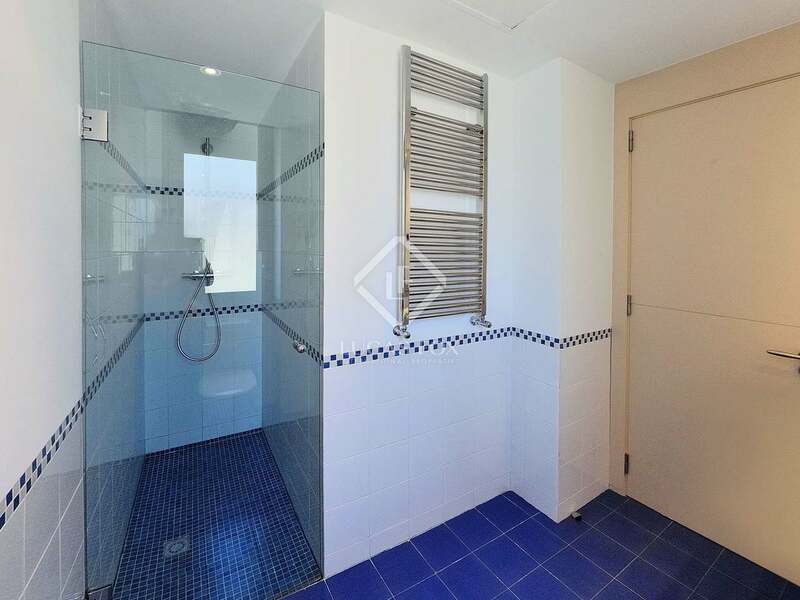 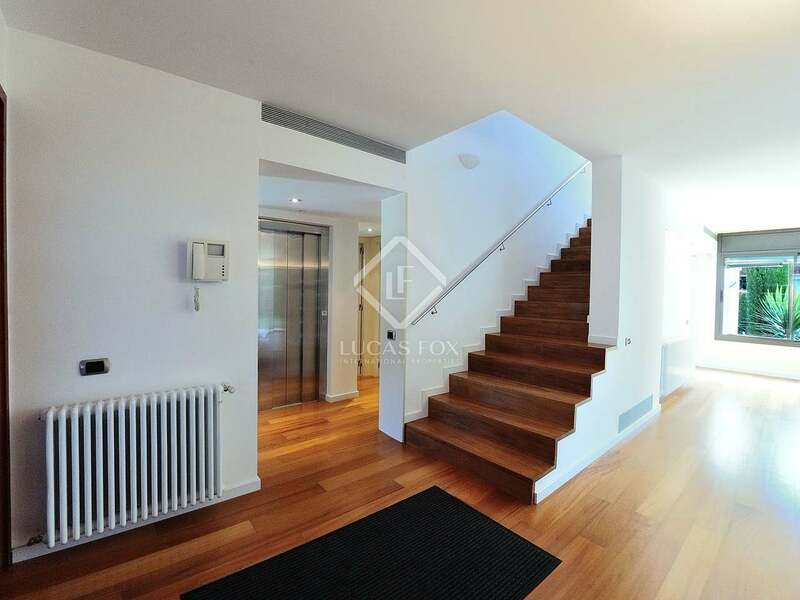 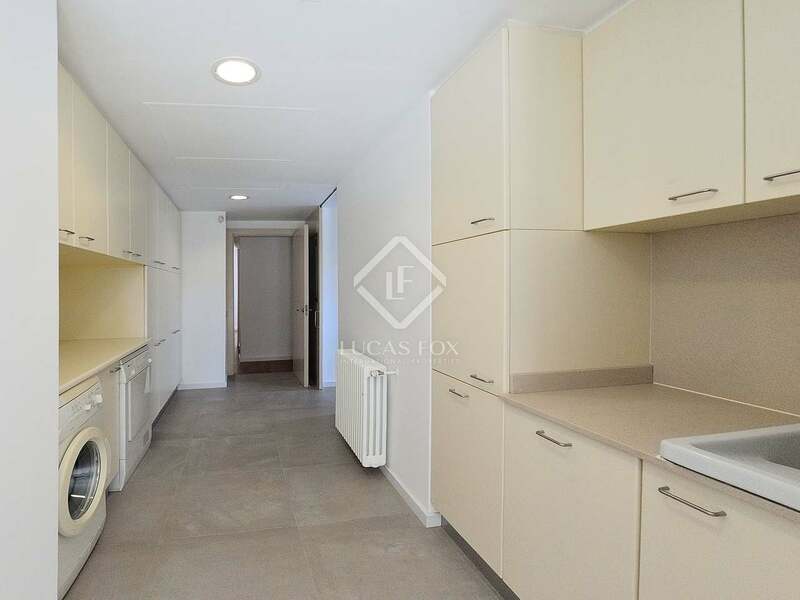 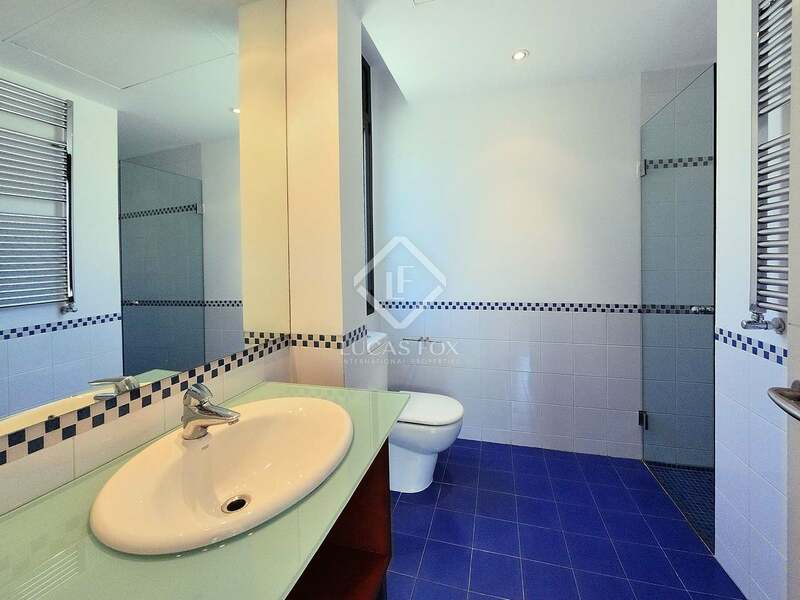 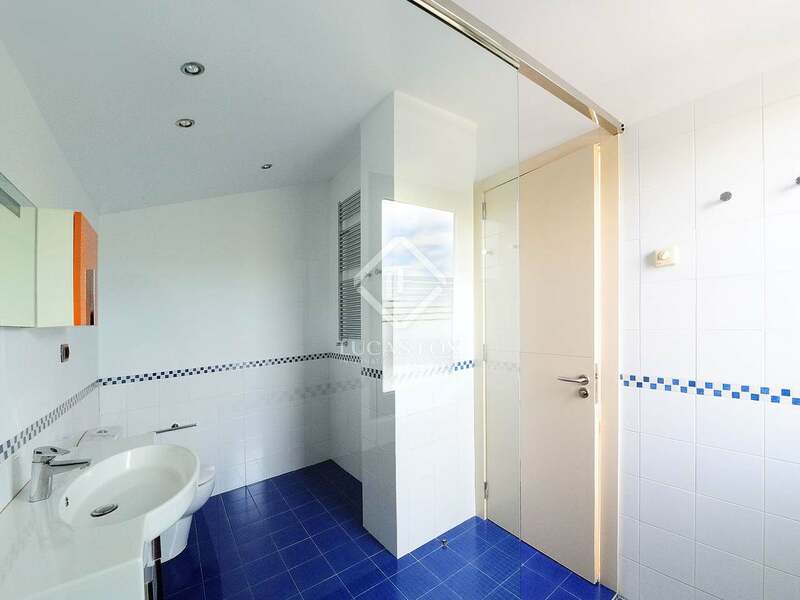 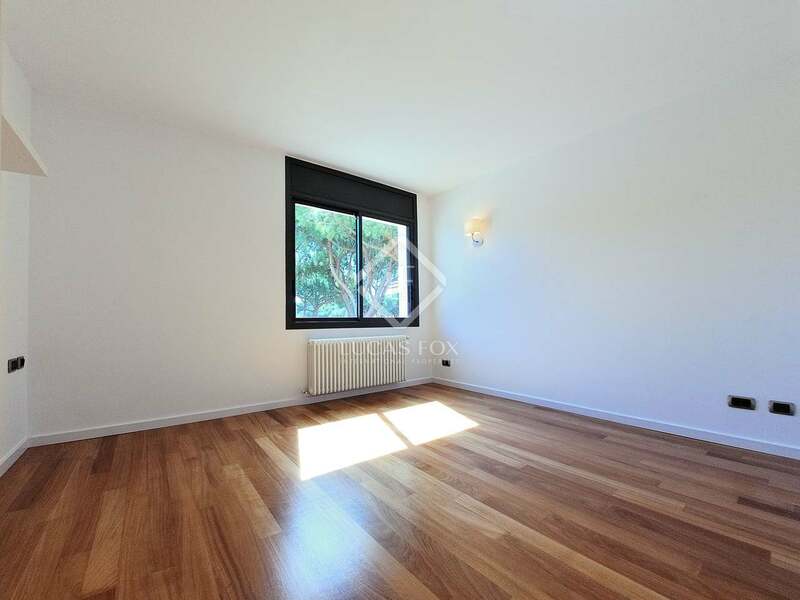 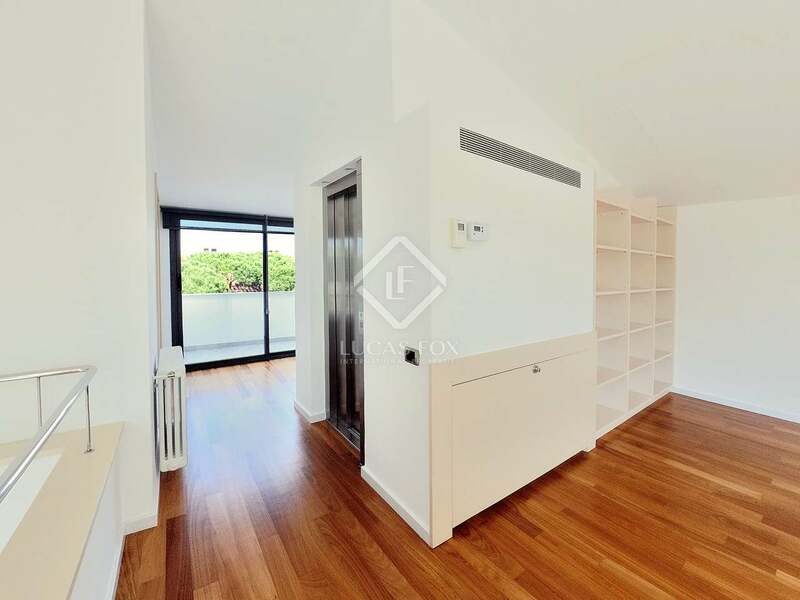 This sizeable property is organised over 4 floors, all of which are conveniently connected by a lift. 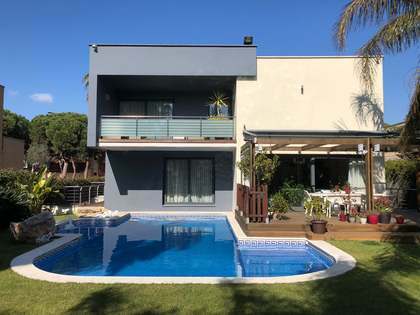 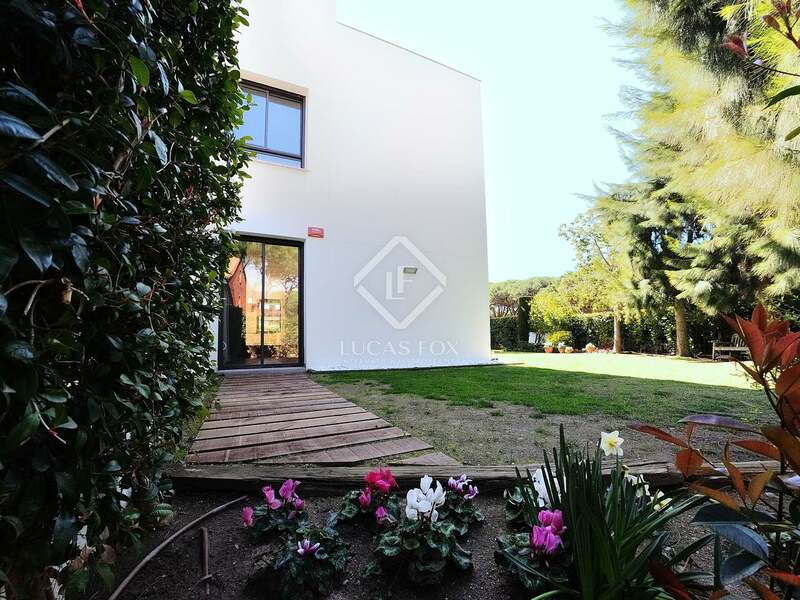 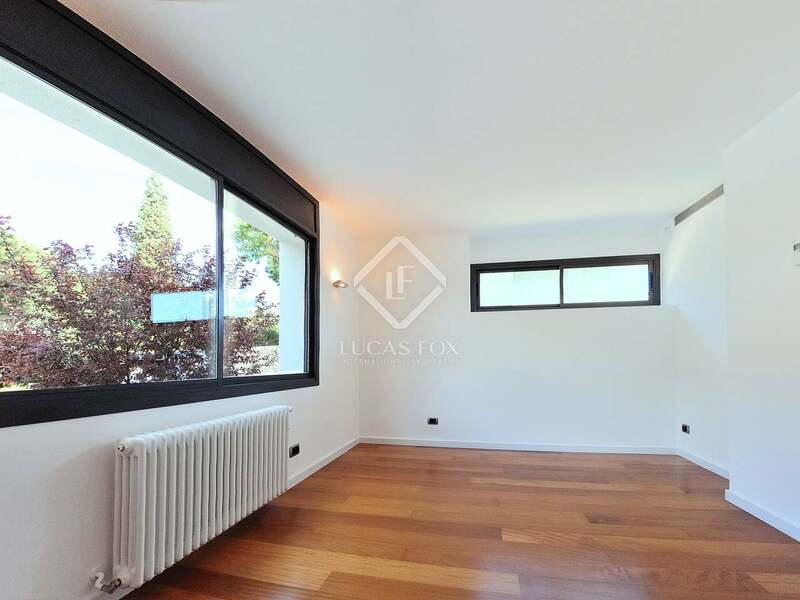 We access the entrance hall that connects with an impressive split level living room with a fireplace and direct access to the sunny terrace of 20 m² with a chill out area and private garden with the pool and barbecue. 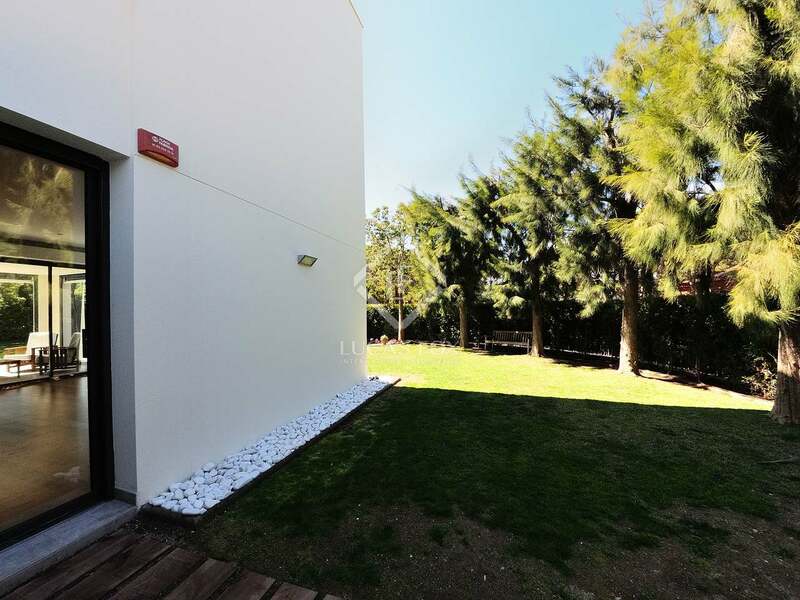 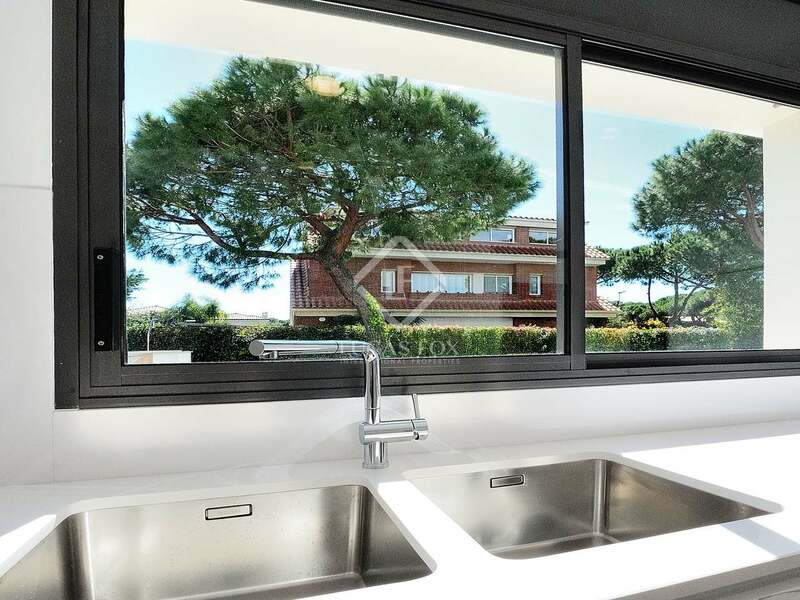 On this same floor we find a new fully equipped brand new kitchen diner, an 8 m² laundry area with plenty of deep closets, a service room and bathroom and a double room with the option to use it as an office. 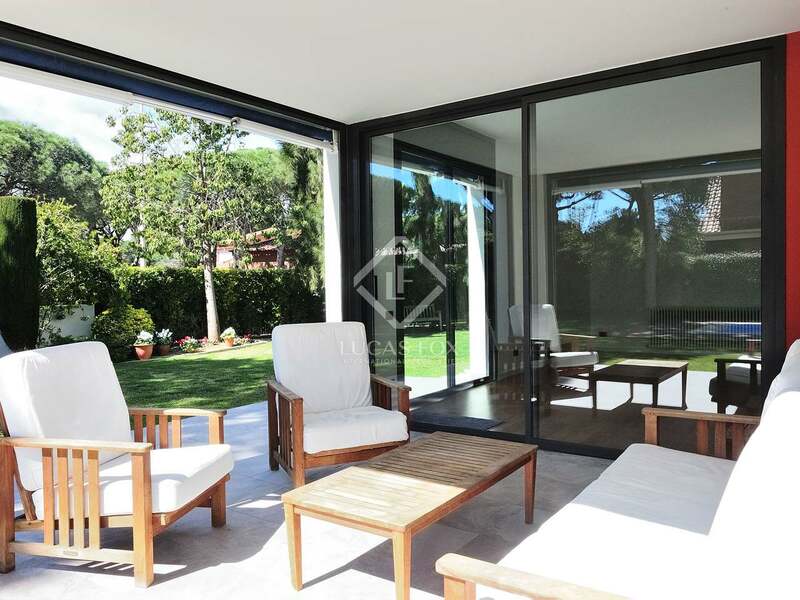 On the first floor we encounter a lounge area of approximately 45 m². 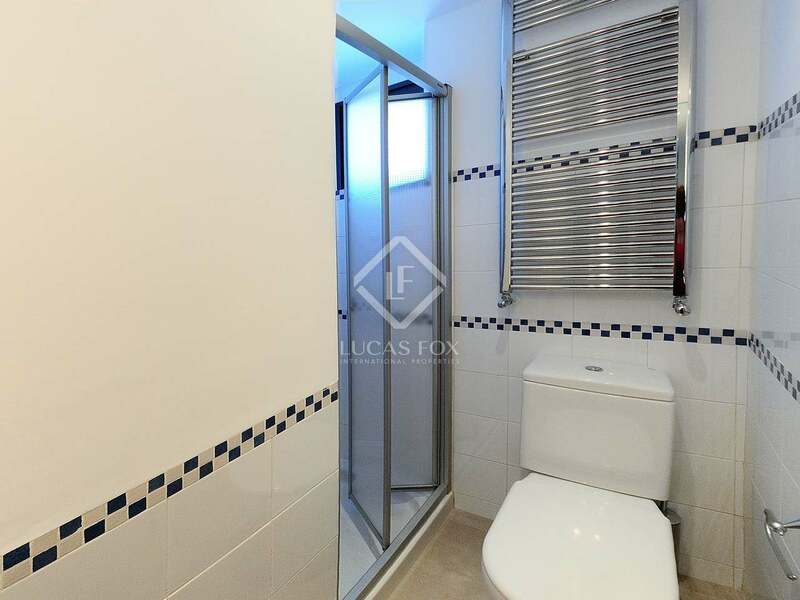 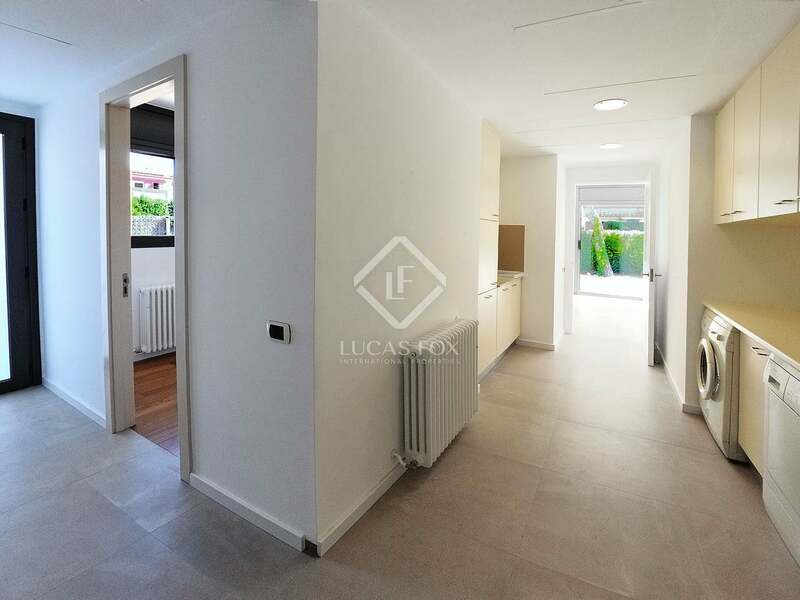 On this floor we have 4 bedrooms including 1 suite of 35 m² approximately with its own bathroom and 5 m² dressing room, another suite of about 25 m² with its bathroom, and 2 double bedrooms (one with a dressing room of 3 m² ) with a shared bathroom. 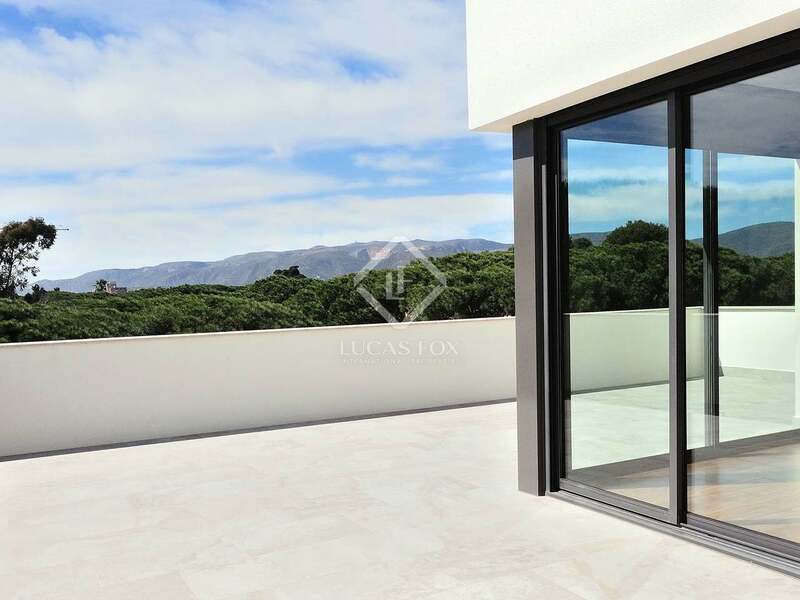 On the second floor we have a living area with a 40 m² master suite with a bathroom and dressing room and access to a solarium of approximately 30 m² with sea views. 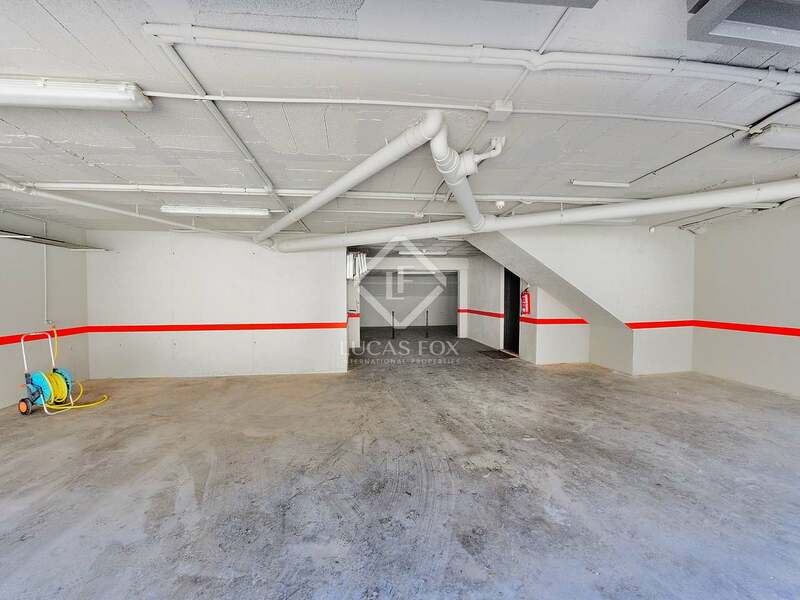 In the basement there is a large garage for 5 vehicles. 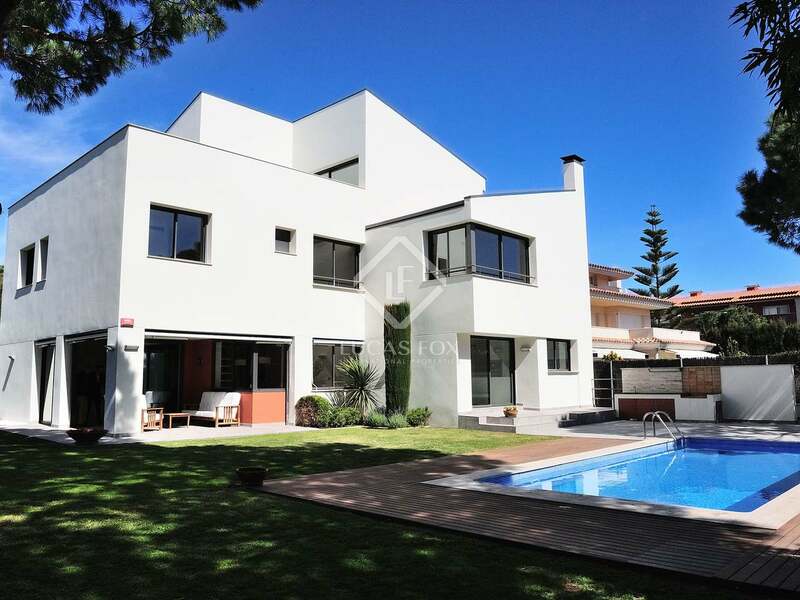 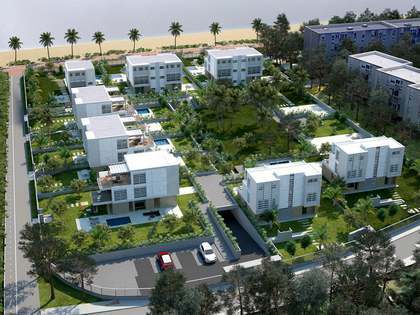 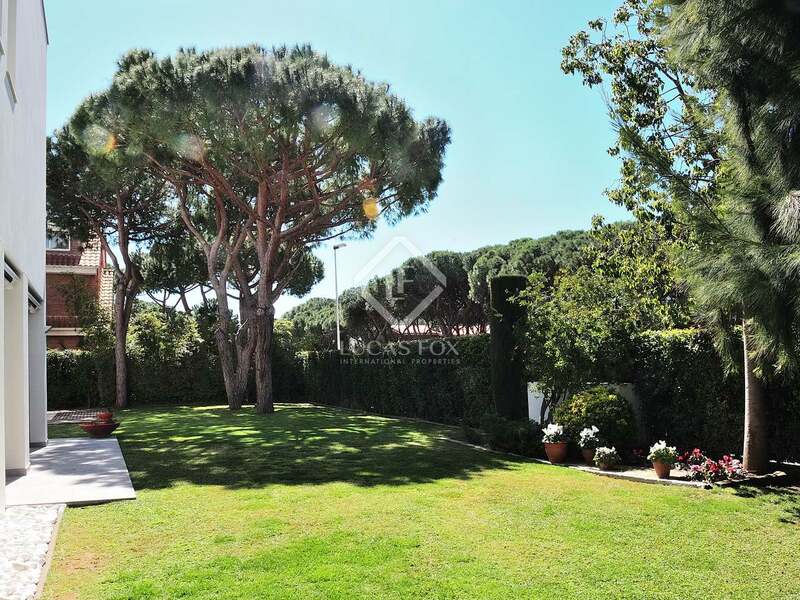 This is an excellent opportunity to acquire a high-end family villa in an affluent neighbourhood just steps away from the sea. 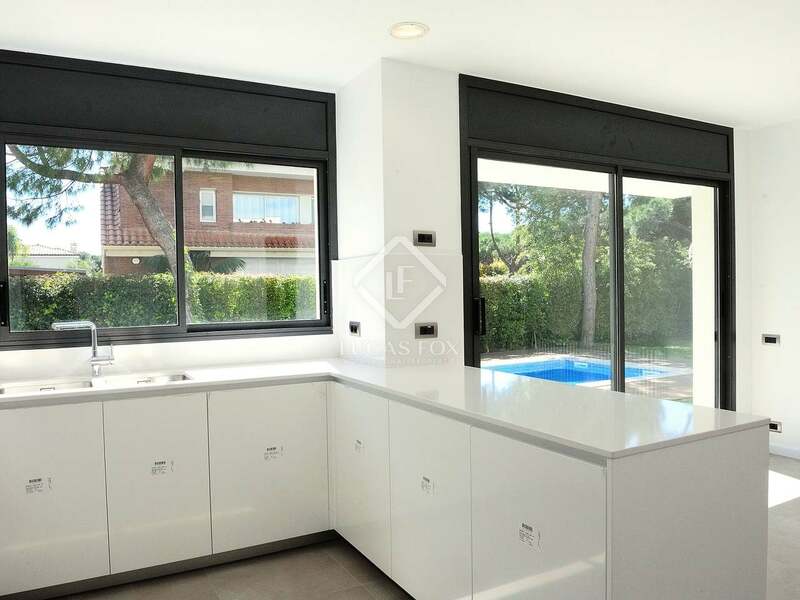 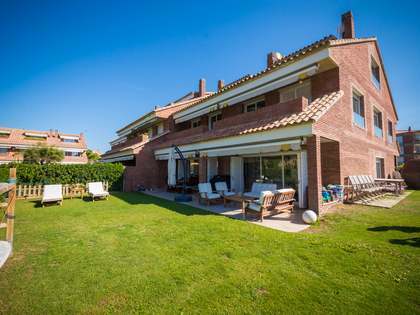 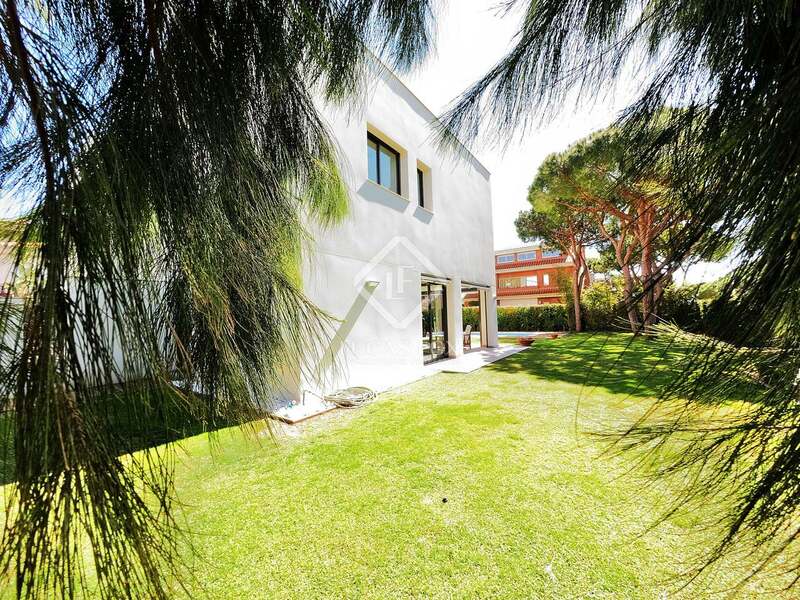 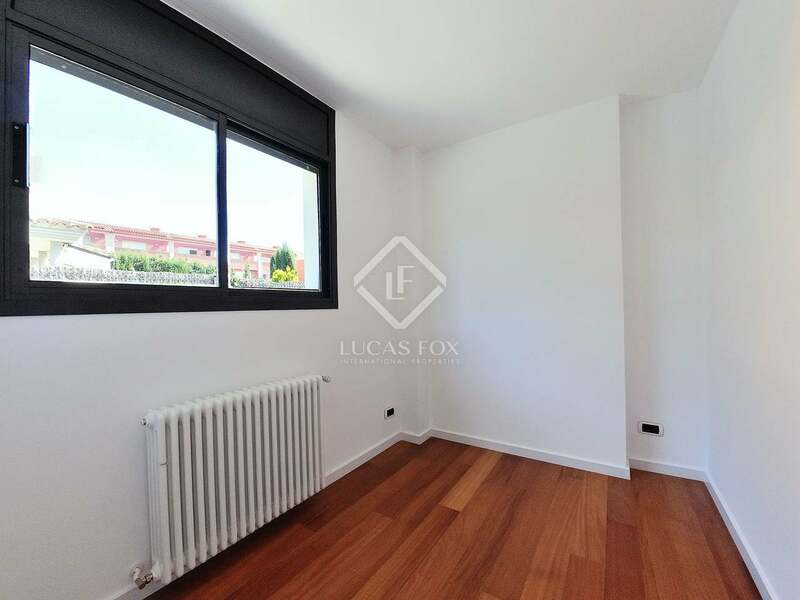 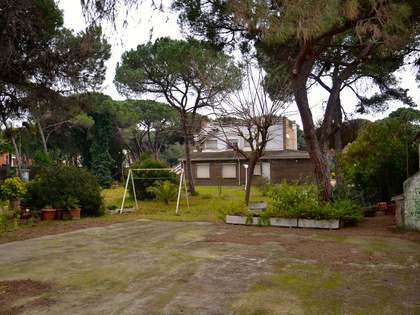 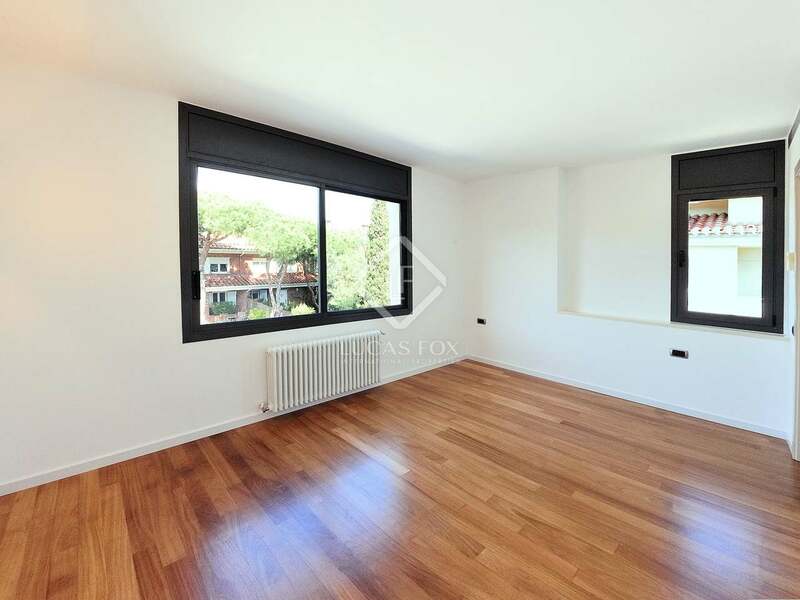 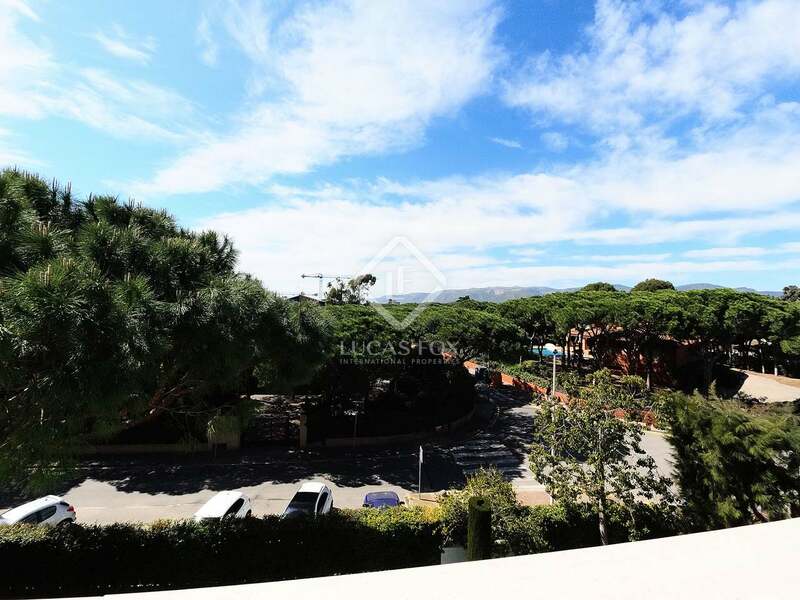 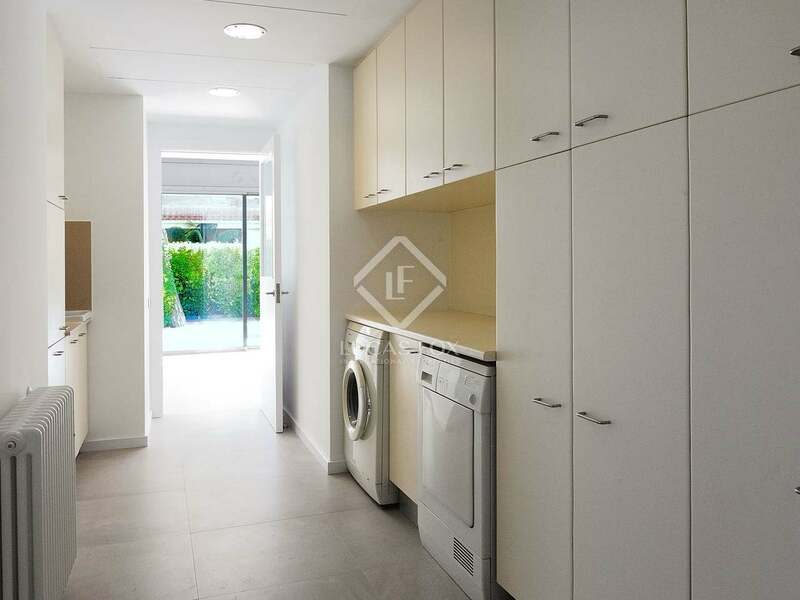 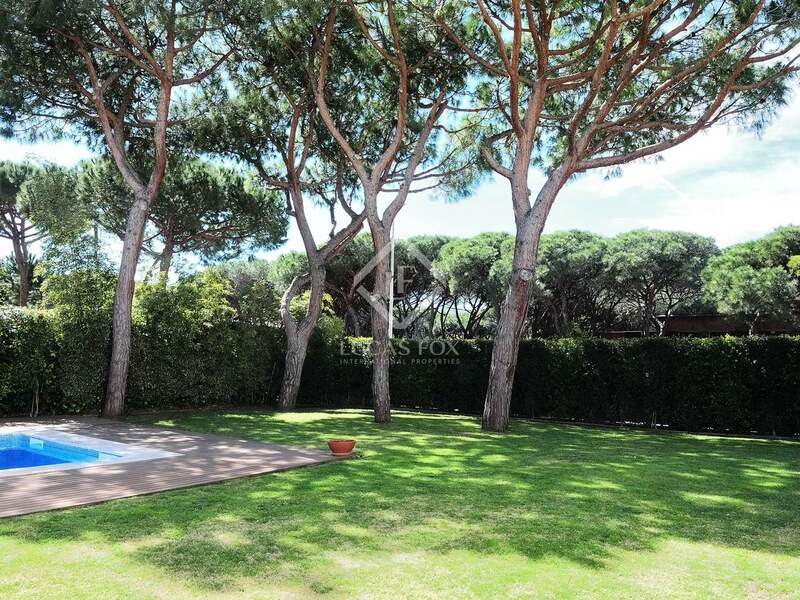 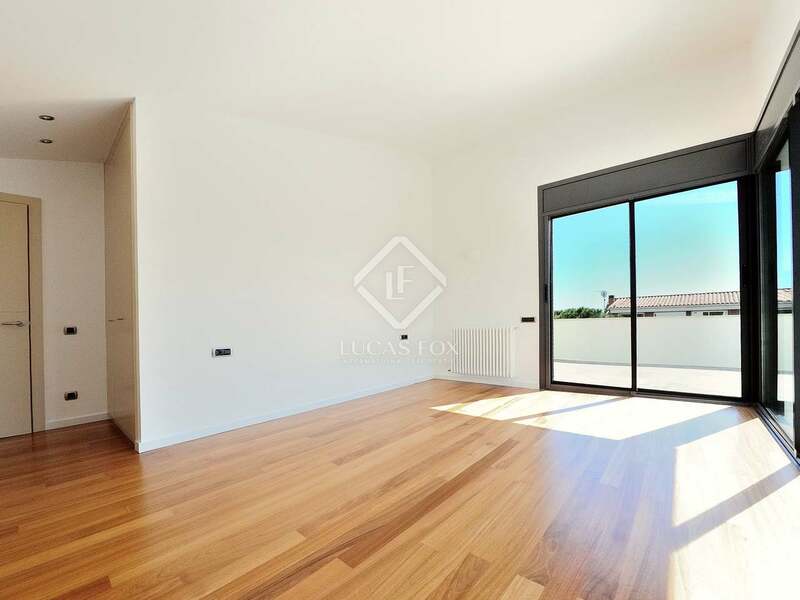 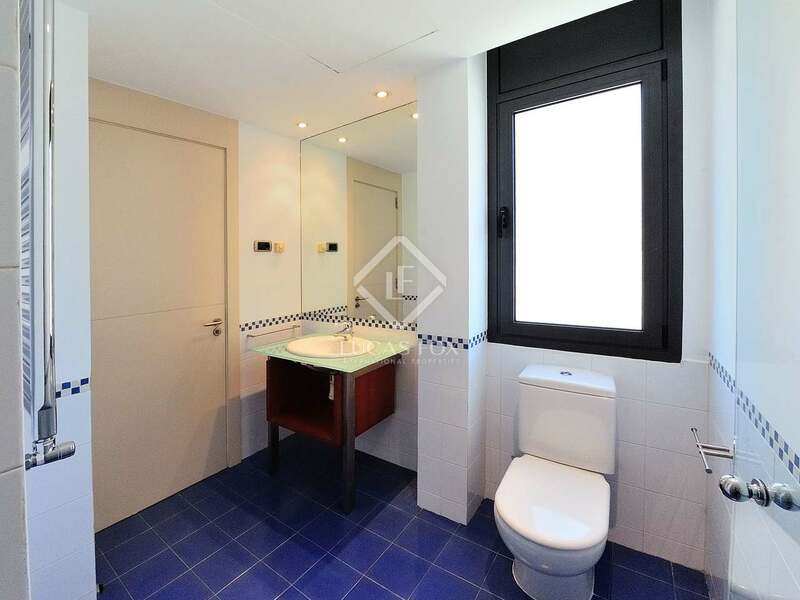 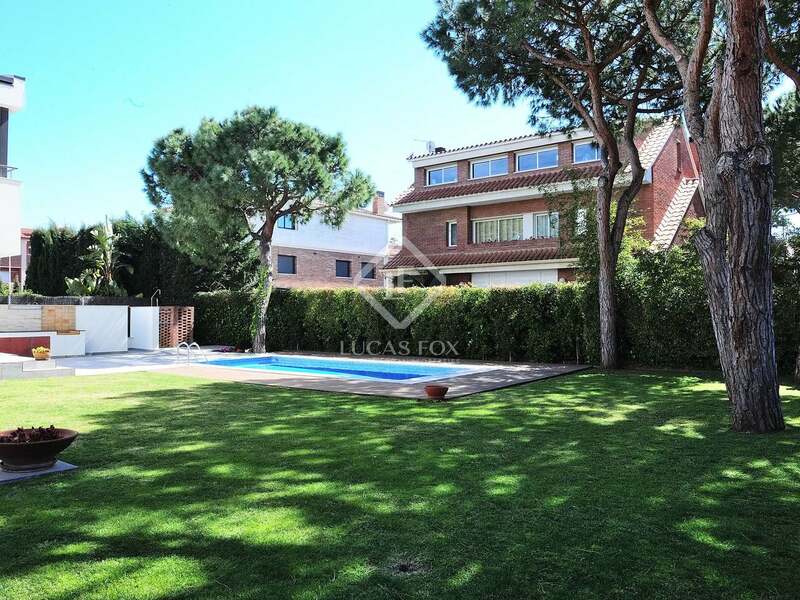 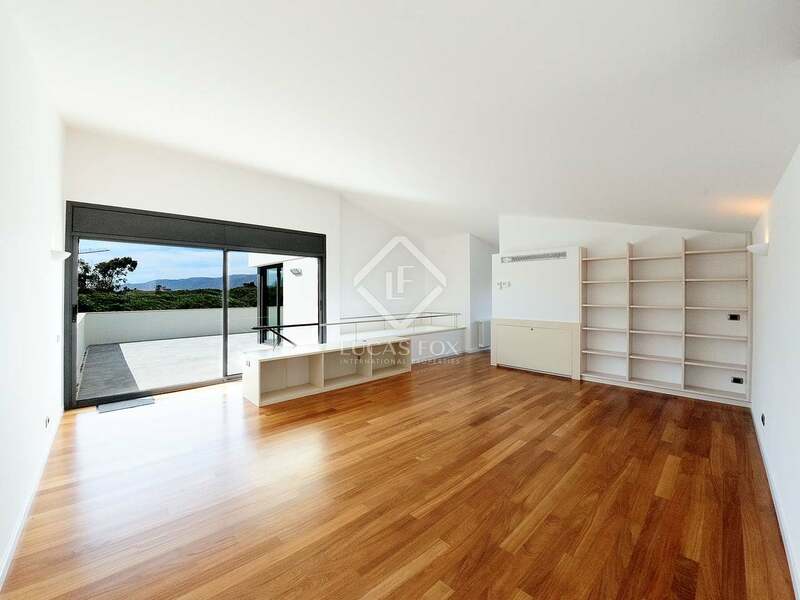 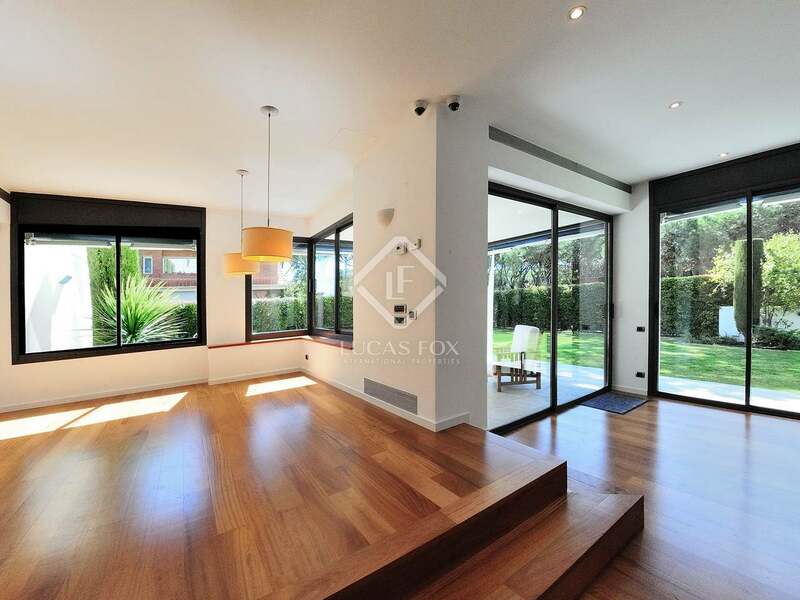 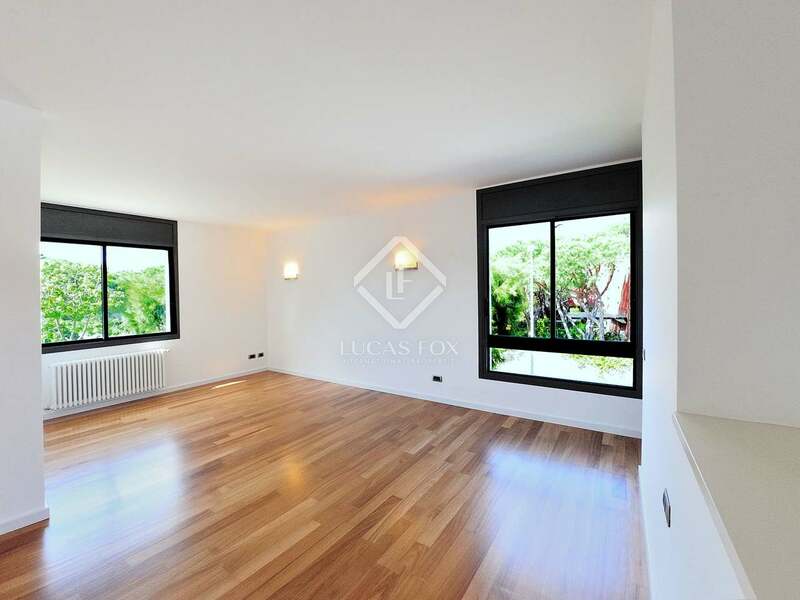 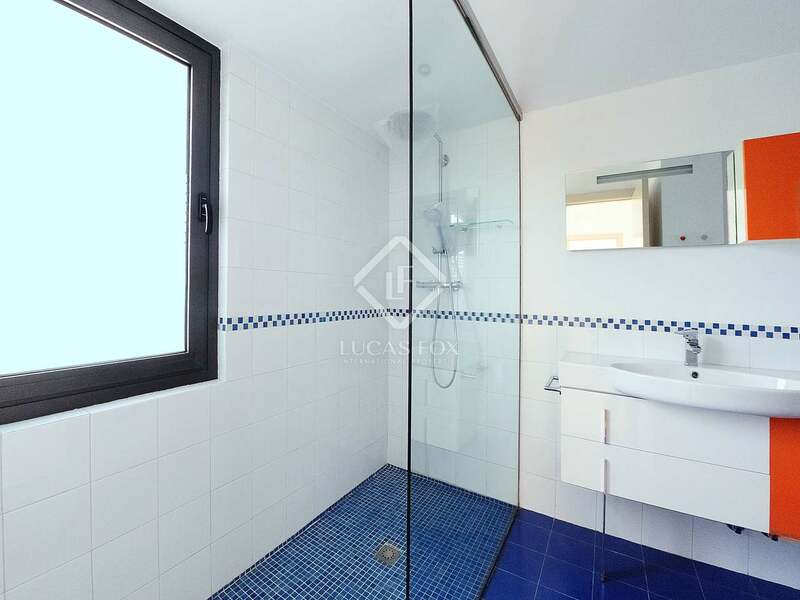 The property is located in Gavà Mar, 2 streets back from the beach.